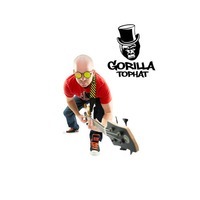 Gorilla Tophat is proudly Canadian coming out of South Western Ontario and was created by two former members of CWS; Bassist Alex Deuzeman and Front Man Jacob Snow. The music is a unique blend of Funk, Jazz, Rock and Pop. Lead by infinitely groovy bass lines, complimented with horns, piano, percussion, rock & funk vocals. The band's influences are widespread and include Artists such as the Red Hot Chili Peppers, James Brown, Stevie Wonder, Herbie Hancock, Marvin Gaye, 311, and Third Eye Blind.